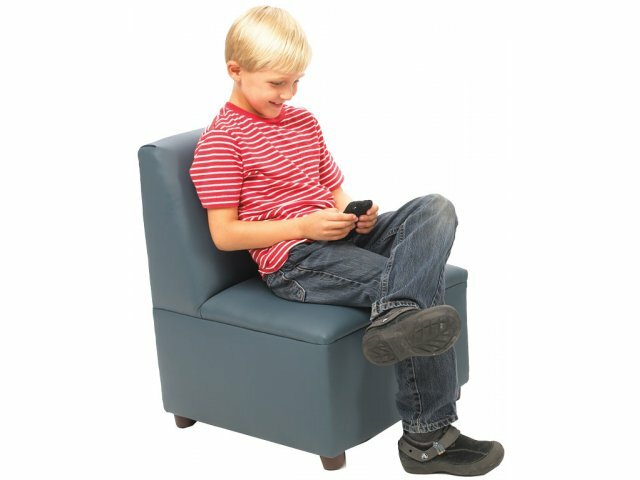 Add comfort and style to your school library or reading corner with these modern casual chairs. 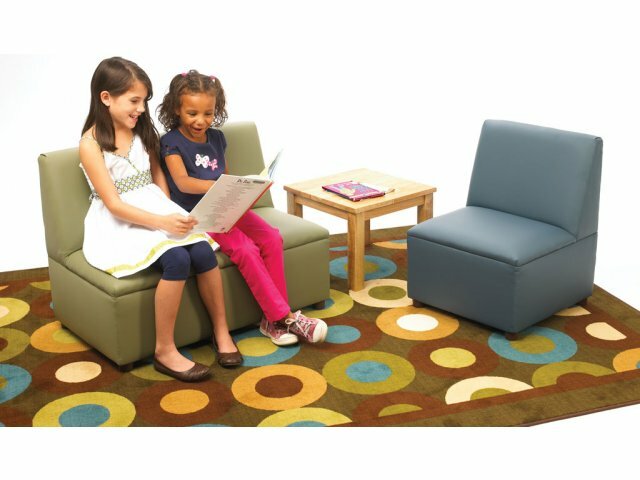 Modern Casual furniture from Brand New World makes any daycare center or school library feel just like home. 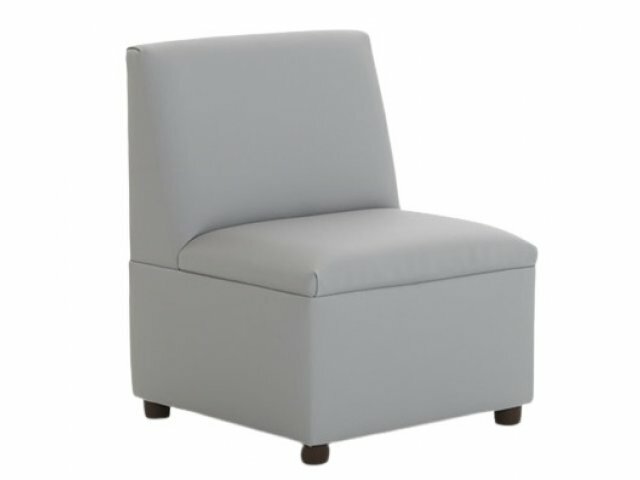 Constructed with sturdy hardwood frames, padded with dense foam and then carefully upholstered, this furniture series is as comfortable as it is beautiful. 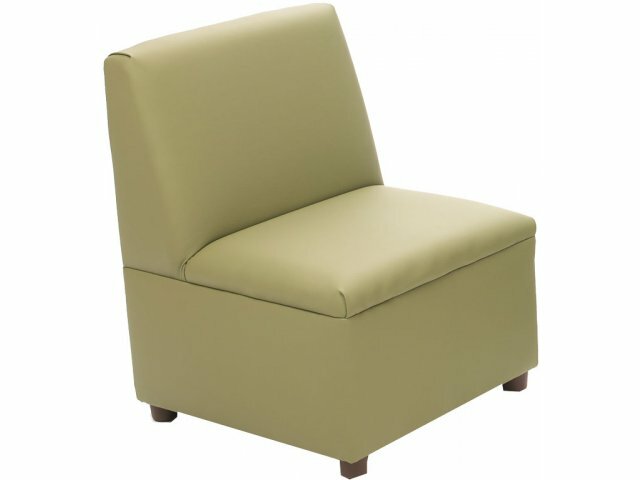 The Enviro-Child upholstery is PVC-free and easy to clean. Available in a choice of beautiful earth colors. Age Range: For ages 4 and up. Strong: Sturdy hardwood frame ensures strength and durability. PVC Free: Upholstered in polyurethane fabric, these lounge sofas are PVC free. Comfortable: Dense foam padding is cozy and relaxing. Attractive: Modern casual design gives a "just like home" look. 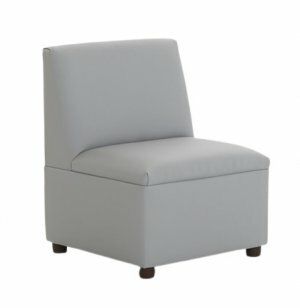 Environmentally Friendly: Exclusive Enviro-Child upholstery is eco-friendly - free of flame retardants, while meeting Class 1 flammability standards. Low Maintenance: Upholstery cleans easily for no-hassle maintenance. Compliant: Meets all ASTM, CAL117-2013, and CPSIA standards. Assembled in the USA with global materials by craftsmen who take pride in building furniture by hand.